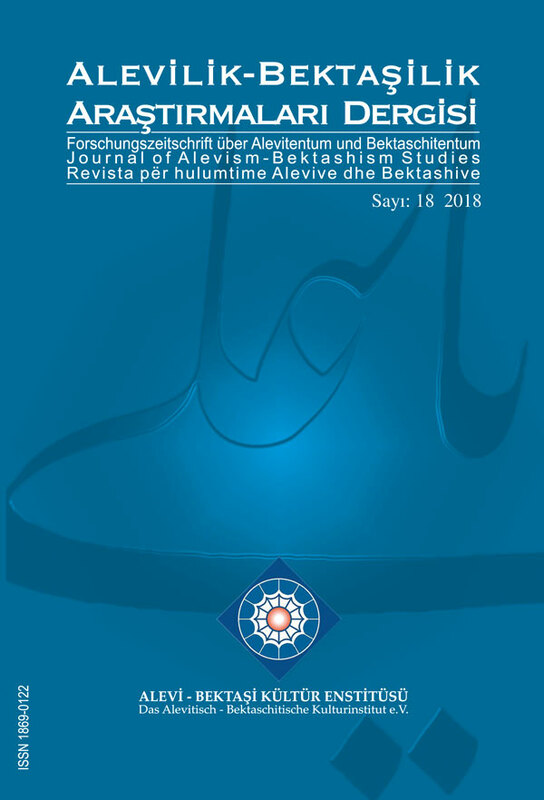 Many scientific publications set forth that Alevi-Bektashi charismatic religious leaders and their dervish communities had had an important part in the process of Turkification and Islamization of Balkans. Religious leaders, described as “Colonizer Turkish Dervishes” by Omer Lutfi Barkan, played roles both in winning a war with their swords and in winning hearts with their thought system. Alevi ocaks, founded on behalf of these leaders, took an important role in the process of resettlement and Islamization of the conquered region. We learn of the activities done by religious leaders who represented the Alevi belief system and were referred to as Dede, Baba, Abdal, Ata and Sultan, from “velayetname” and “menakıpname” written in their names, archival documents, documents from personal archives such as family trees, diplomas (“icazet”), edicts (“ferman”), certificates (“berat”), and from oral knowledge of dede and aspirant communities, which are believed to descend from charismatic religious leaders. It is known that there are studies on some religious leaders mentioned above, about whom official archives keep information and documents. These studies, although not being satisfactory, have provided directions for new studies and publications. Publications on documents kept in personal archives of “dede” and aspirant communities has started to be published for the last twenty years. This paper focuses on field studies, archive and literature-based analysis of seven documents recorded in personal archives. The centre of Ali Koc Baba “ocak” (hearth), believed to be founded on behalf of Ali Koc Baba entombed in Nigbolu/Nikopol, is in Yablanovo village in Sliven region, Bulgaria. While all the “dedes”, who were stated to be descended from the Ali Koc Baba “ocak”s lineage, were inhabitants of Yablanovo village throughout history, a number of them have immigrated to Eskisehir and particularly to Thrace region in Turkey in the 20th century due to political and social developments. Today, aspirant communities connected with the “ocak” of Ali Koc Baba are also settled in Yablanovo, in Bulgaria, and in Tekirdag, Kirklareli, Edirne, Yalova, Izmir, Eskisehir, Kutahya, in Turkey. The “ocak” of Ali Koc Baba is an Alevi “ocak” that was discussed in studies by scientific circles. This paper will evaluate seven documents, which we determined and recorded in our field-work on Ali Koc Baba “ocaks” in Turkey and Bulgaria, in the context of collected oral data, archive records and available literature. The documents have reached us through “dedes” of the Ali Koc Baba “ocak”. Mehmet Ali Koc gave us four and “dede” Hasan Ozyigit gave us three documents. We can give following brief information about dates and contents of these documents: The 1st undated document that could be accepted as a “siyadetname” according to its content is very worn-out and torn in one part. It owns characteristics of an old-dated text along with paper and current condition. The 2nd document is preserved in the form of one text by attaching two “siyadetnâme” text one under the other. Both documents are genealogy of Seyyid Nureddin nicknamed Topuz Baba. The first one is dated Zulhijja 814 (Mart 1412), and the second one Zulqida 840 (May 1437). Both texts are copies from the 18th century. The 3rd document is a “siyadetnâme”. It confirms Seyyid Hasan, descended from Topuz Baba, is a sayyid. It is dated 4 Ramadan 1038 (27 April 1629). The 4th document is a “siyadetnâme” of Seyyid Omer descended from Topuz Baba. It is dated 29 Rabi al-Akhir 1040 (5 December 1630). The 5th document is a “siyadetnâme” of Seyyid Saltik descended form Topuz Baba. It is dated 9 Zulqida 1309 (5 June 1892). The 6th document is a “murasele” dated 17 Shawwal 1129 (24 September 1717) and written to the kadi of Sumnu upon tax claim ignoring the privileges of Koca Baba zawiya. The 7th document is an edict (“ferman”) sent to the kadi of Sumnu. The edict includes an order not to collect tax from religious sacrifices and merchandise in Koca Baba zawiya based in Yablanovo village. The document is dated 10 Ramadan 1229 (26 August 1814). The three of seven documents, taken from personal archives of “dede” families, are related to Ali Koca Baba and zawiya founded on his behalf. While one of these three documents have content of a “siyadetname”, the other two are official documents which contain confirmation of the Koca Baba zawiya’s privileges. Other four documents are “siyadetnâme” which contain confirmation from different periods about Topuz Baba’s descents becoming sayyid. The reason why many questions about religious organization in Yablanovo and Topuzevo villages remain unanswered is ignoring or lack of emphasis on Seyyid Topuz’s lineage, seen in “siyatednames” that were published before our paper on Ali Koc Baba “ocaks”. This paper reveals, in the context of the data collected from documents mentioned above and during our field-work, the existence of an Alevi “ocak” which we can define as Topuz Baba “ocak”, apart from Ali Koc Baba “ocak”, in the village of Yablanovo. In the light of new documents, the paper will present, with an integrative interpretation of the available data, how the two Alevi “ocaks”, based in Yablanovo and Topuzevo villages, took one village/one “ocak”-centred form throughout history.